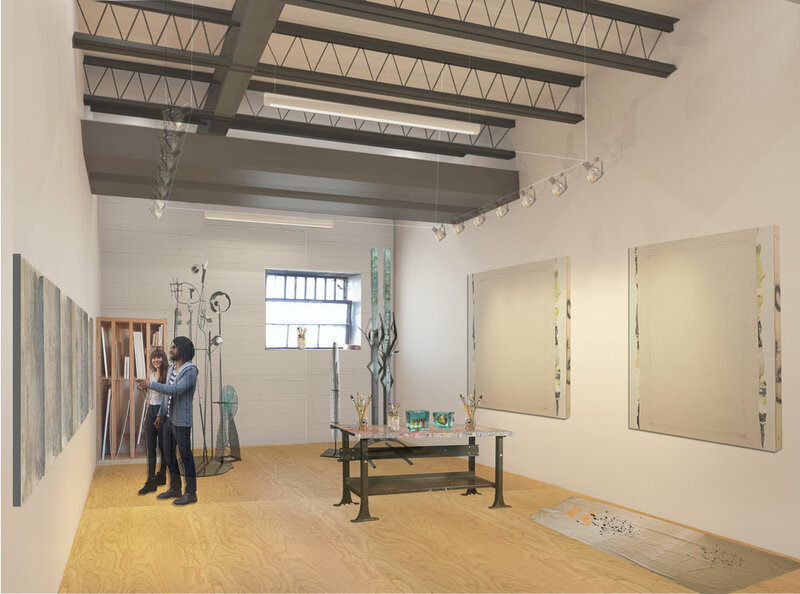 The brain child of three prominent DC based artists, STABLE will provide affordable and sustainable studio space to local artists and through partnerships with local, national, and international arts organizations, bring diverse programming into the STABLE community. Artists, staff, collectors, and the general public will enter STABE through a common, central core, fostering interaction and encouraging dialogue between the artists. Though the individual studios will be the focus of creativity, the heart of STABE will be the community spaces in the central core. Here artists will navigate to their studios and the adjacent 1,100sf gallery, gormandize, display art to collectors, access the media lab, and collaborate with colleagues.